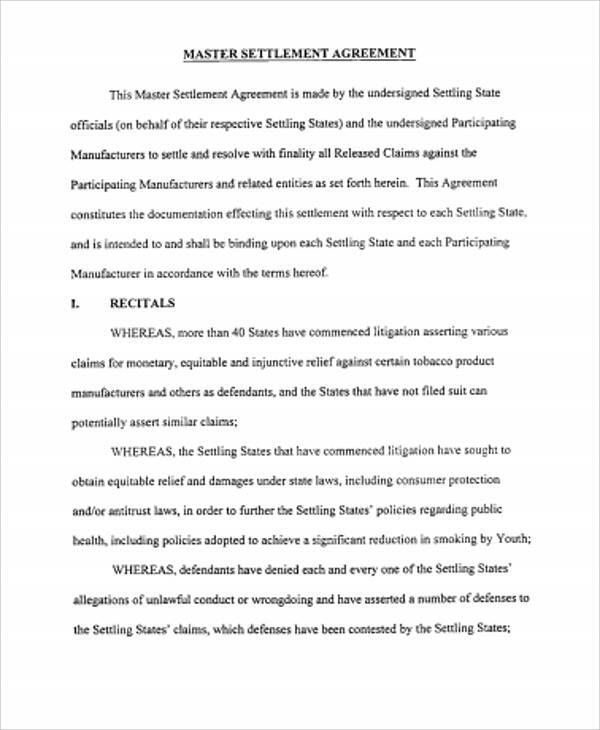 A settlement agreement is a resolution of a dispute between two parties before or after a court action. 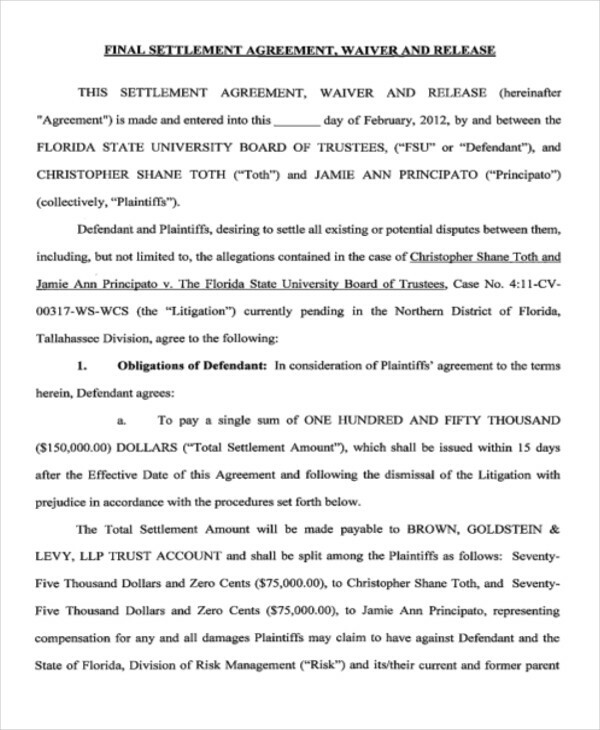 Oftentimes, a settlement comes in the form of money. 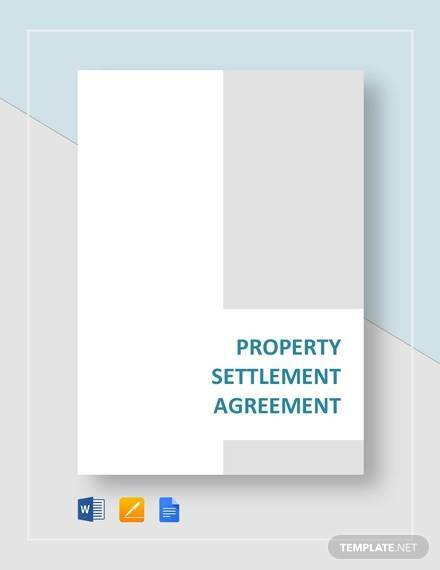 If you ever need a sample settlement agreement, we have a couple of simple agreements here for you. We also have tips and a step-by-step guide that you can follow easily. Ready? Keep reading! 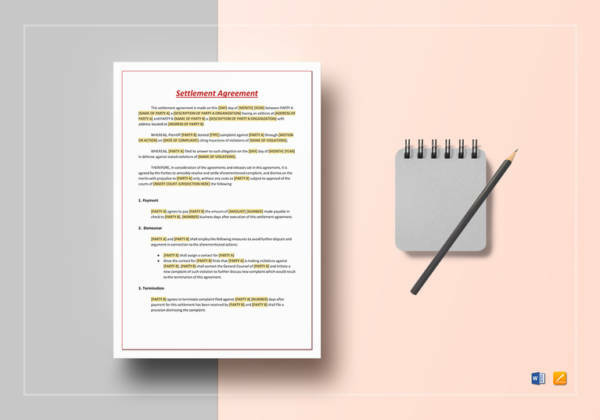 Settlement agreements are considered to be powerful and formal documents, so you want to make sure that when you come up with one, you are very careful with your choice of words and that all the details that you enter are accurate and precise. 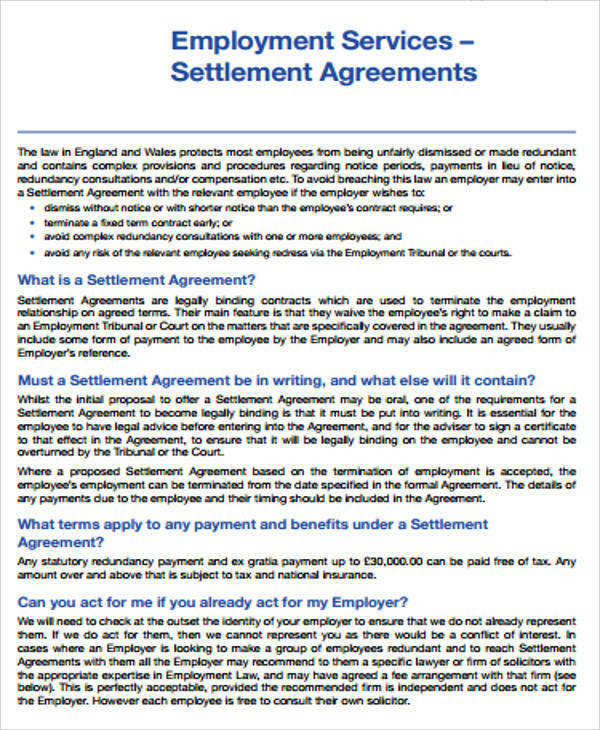 Are you confused with how you can write a settlement agreement? Check out the tips that we have for you. Come up with your terms and conditions. When coming up with the provisions, you want to make sure that you also keep in mind the state laws. If you find yourself confused about the state laws and what provisions will be in line with the state laws that are present in your location, you can always consider asking an attorney for advice. To get you started, learn how to write a contract agreement here in our website. Come to an agreement. 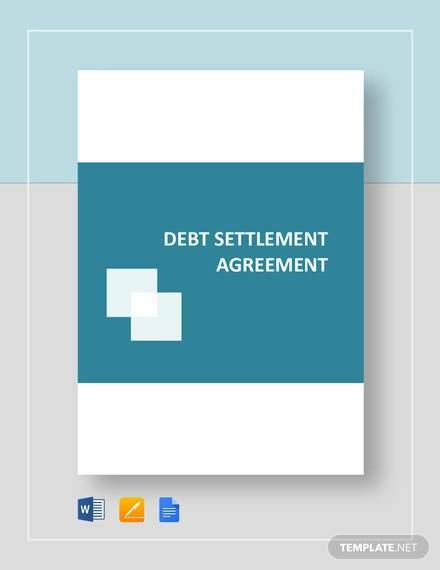 Most parties will not always be in agreement, which is the reason why there is a need for you to come up with a settlement agreement. Come to an agreement based on the facts surrounding the dispute. You can check out partnership agreements. Negotiate the considerations. Come to an agreement what people will be getting in return for giving up something as a legal remedy. Payment arrangements may also be discussed. Come up with conditions. You want to make sure that you negotiate conditions for it to become desirable for the parties involved. Identify the parties involved. Introduce the parties involved and define the roles that they are going to play while involved in the simple agreement. 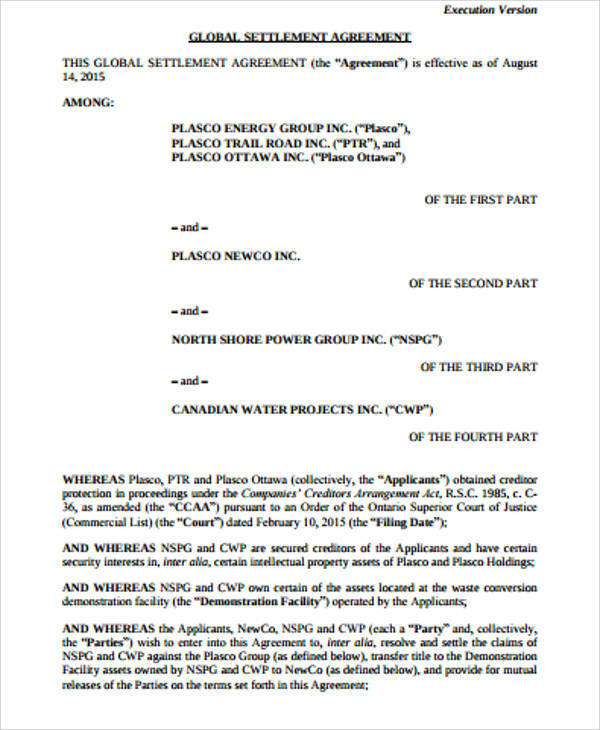 Names, addresses, and a statement telling the reader that the parties involved are entering the agreement in a valid manner. What the parties will be getting. You want to make sure that you emphasize what are the benefits that each party will be getting by becoming a part of the agreement. 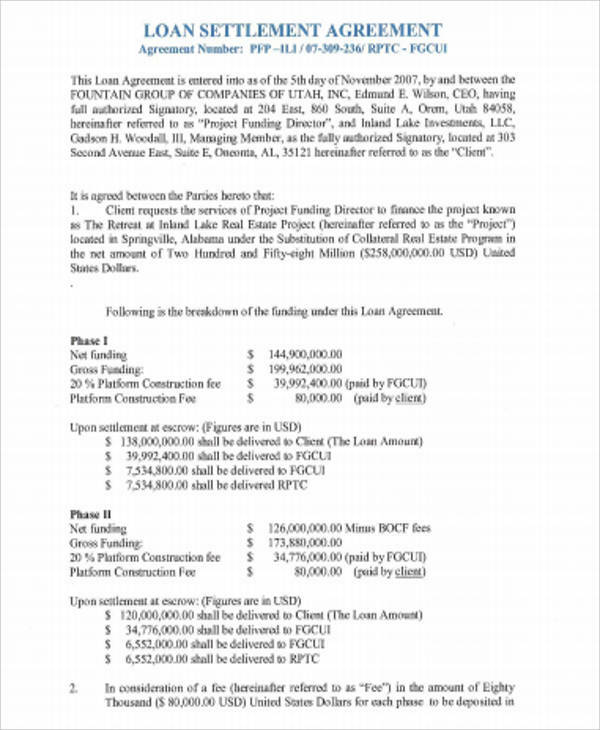 State if this agreement will be confidential. You have to make this clear and you have to make sure to establish this early in the agreement. You will also need to make sure that the other party involved also agrees to make the agreement into a confidential agreement. Dismissal of any litigation. 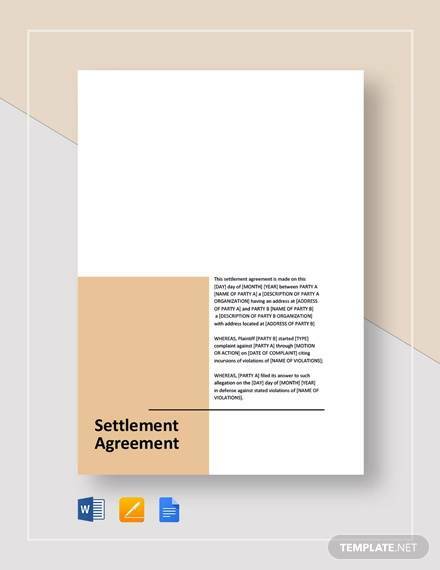 If you are currently under litigation and while under litigation you and the other party decide to come up with a settlement agreement, make sure that you include in the provision that the litigation will not continue anymore. Allot spaces for signatures. Agreements, to be enforceable and legal, need the signatures of the parties involved. Allotting spaces or blanks for signatures after all the provisions and terms and conditions have been provided is standard for simple contract agreements. The other party will accept the agreement in full. The other party will reject the agreement in full. The other party will want to make revisions to some parts of the provisions as well as the terms and conditions. 3. Affix signatures. Make sure that parties involved have affixed their signatures to signify that everything has been agreed upon. 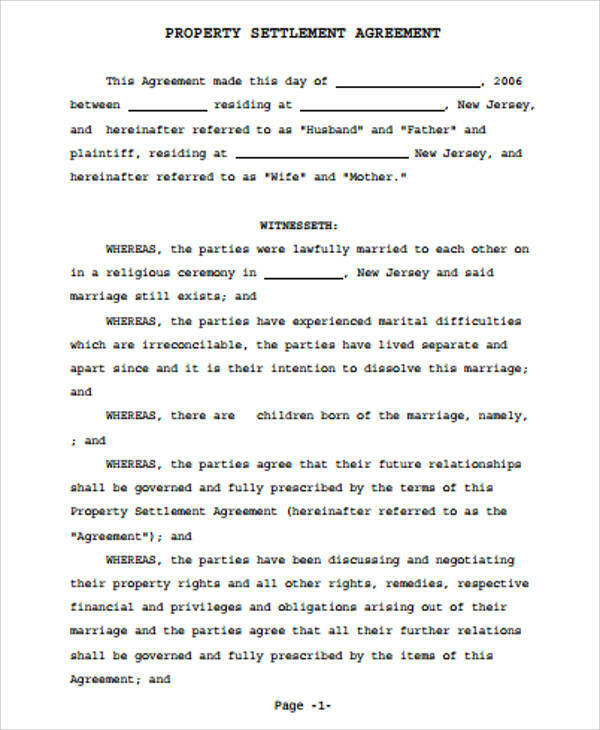 Once it is signed, it is now time to start performing what is written in the agreement. 1. 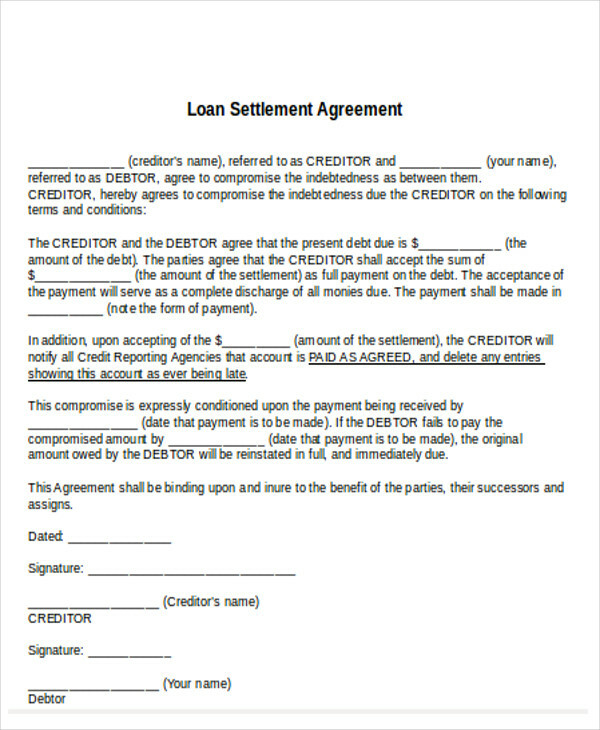 It will always be a good idea to take a look at master settlement agreement templates and tailor the sample that you have picked according to your needs. 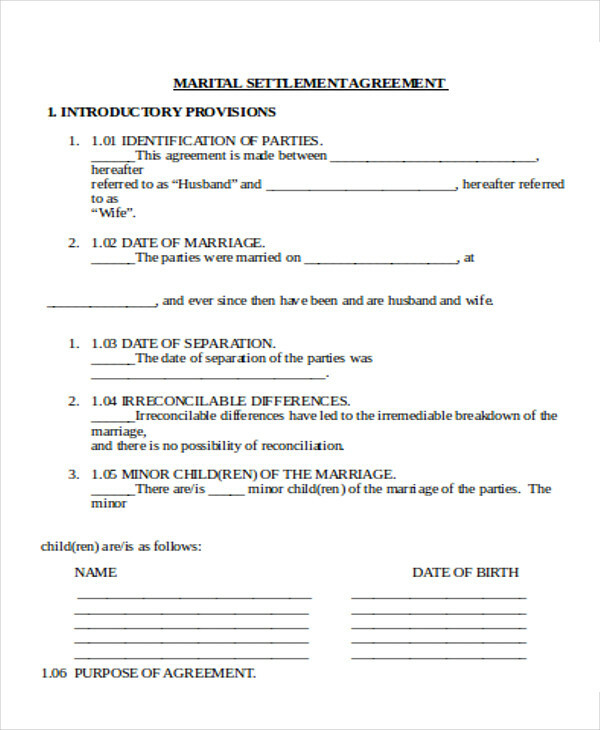 This will lessen the time that it will take for you to come up with your very own settlement agreement. 2. 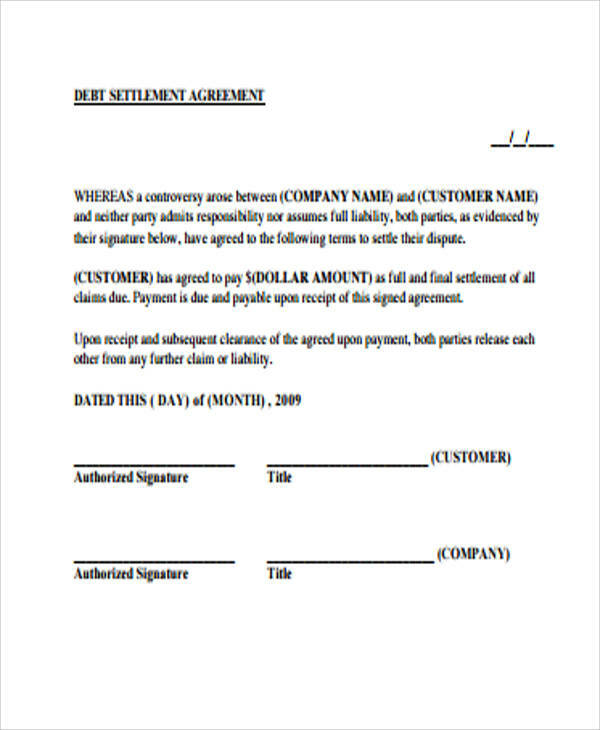 Consult an attorney before start signing the agreement especially if there are a couple of general statements or terms that you are confused about. 3. Make sure that your agreement conforms to all the contract laws and state laws that are applicable to your agreement.